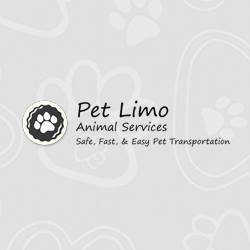 Today I spoke with Ceci Mora, the owner of Pet Limo Animal Services in Miami, Florida, a pet transportation service that has been in business over 20 years. The 14 pets imported into Canada from Aruba but rejected at Canadian Customs have been in the care of the organization since Sunday. Yesterday I provided an update with statements of the involved parties. Today I am happy to report that Pet Limo has taken it upon themselves to do everything in their power to ensure all the dogs and cats will make it into the arms of their eager (and quite patient!) families, hopefully all within the next week. Pet Limo has assured me that all the pets will be entering Canada with legitimate health records and documentation. The animals will not be travelling en masse, rather pets will be shipped unaccompanied in smaller groups over a period of one week. As for the cost of shipping, Ms Mora states that she is working in conjunction with the adopting families, and Kim McDonnell from Save A Puppy, who is back in Aruba and has entrusted the care of the pets to Ms Mora. Let's hope that in a week I can report that this whole debacle has ended, and that all the needy pets from Aruba are here safe and sound. In the meantime I have a request of my loyal readers. Please just take a minute of your time to visit the Pet Limo Facebook page and express to Ms Mora just how appreciative you are of all her tremendous work over the last five days in helping these wonderful pets. Simply comment or leave a review. I will be updating on this story next week. I have spoken to Ms Mora from Pet Limo and she has stated that all the dogs and cats have now been shipped from Florida and are with their new families. In addition, one local rescue organization has offered their thoughts on stray dogs and rescue in Aruba.